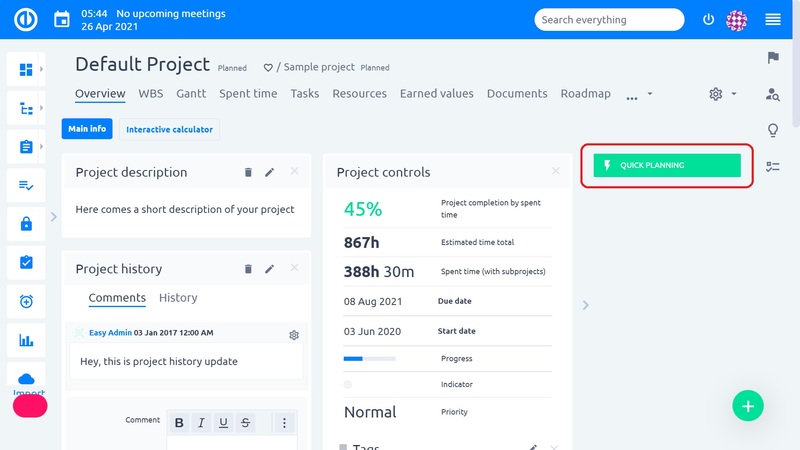 With this handy tool you will be able to set up tasks and project timeline in a few simple and fast steps. 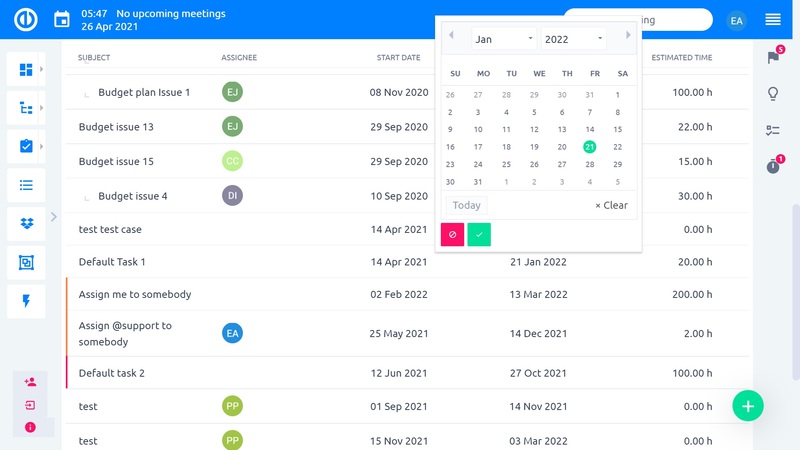 Quick Project Planner is designed to save you time in creating and allocating tasks in a project. It enables you to quickly create a set of tasks at one page. 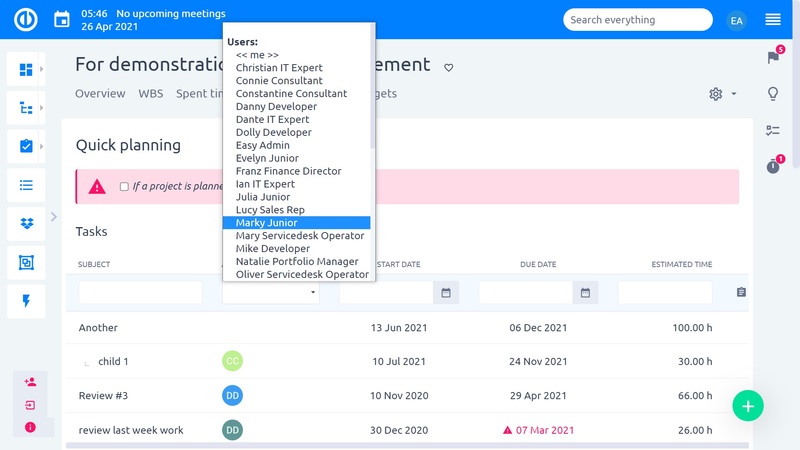 After you have all of them ready, with the help of Resource management, you are able to quickly assign them to users according to their availability. The plugin functionality is accessible by a button at the PROJECT OVERVIEW page. Compatible with Redmine 4.1.x, 4.0.x, 3.4.x, 3.3.x, 3.2.x, 3.1.x, 3.0.x, 2.6.x, 2.5.x, 2.4.x, 2.3.x, 2.2.x, 2.1.x, 2.0.x, 1.4.x, 1.3.x, 1.2.x, 1.1.x, 1.0.x, 0.9.x, 0.8.x, 0.7.x.